Drinking apple cider vinegar wasn’t the easiest. I knew that ingesting it daily is highly beneficial but I just didn’t know how to handle the sweaty socks smell. But thanks to a new inspiration, I’m now drinking apple cider vinegar daily without gagging or needing to pinch my nose. Well, it’s none other than Korean fruit vinegar! I fell in love with the taste at first sip and wanted to drink it more regularly. I found them sold in the supermarkets but those are highly processed with sugar. Since I wasn’t keen to drink so much sugar loaded vinegar, I thought it might be possible to replicate the drink somehow. That’s when I began searching for alternatives and came across various fruit infused vinegar recipes. The best I’d found was one using passion fruit. 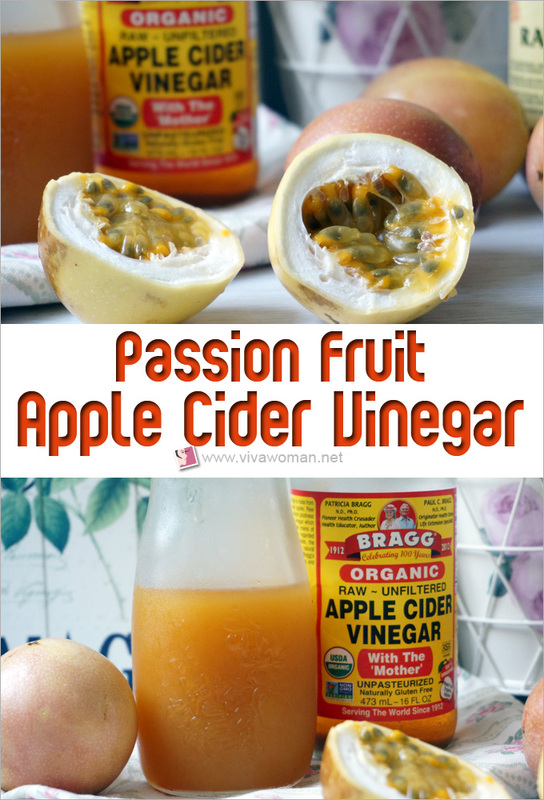 I thought that might work since passion fruit smells great and should enhance the taste of apple cider vinegar. This fruit is also full of antioxidant, vitamin C and fiber–a perfect beauty fruit that compliments apple cider vinegar. The recipe also looks simple to follow too. All I needed was time. In fact, this is so simple to make, I’ll even say it’s a no-brainer. 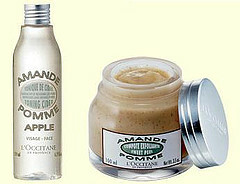 All you need are three ingredients–apple cider vinegar, a couple of passion fruits and raw honey. For those who are new to the world of vinegar, the best apple cider vinegar to buy is raw, organic version that is all natural and unprocessed. 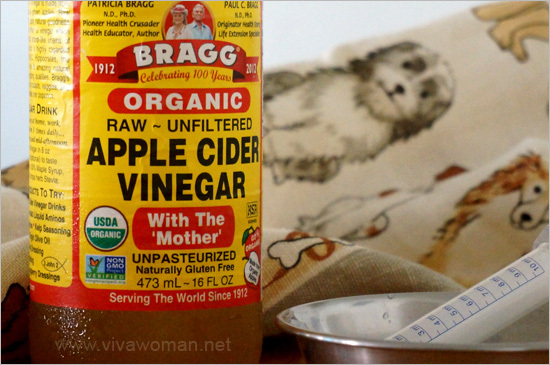 I picked Bragg’s raw and unfiltered apple cider vinegar that comes with the “mother”–the cloudy residue found at the bottom of the bottle. I wrote a post about the beauty benefits of apple cider vinegar two years ago so you can refer to that post. But in a gist, apple cider vinegar like Bragg’s contains strands of proteins, enzymes and friendly bacteria that is great for detox. You can look up the purported health benefits of ingesting apple cider vinegar regularly–lowering blood pressure, promote healthy cholesterol, improve nutrient absorption, among others. I can’t vouch for those benefits but I’m taking this to clear my gut, make my digestive tract more alkaline and keep a clearer complexion. In addition, I understand that the tart, sour acetic acid produced during the fermentation process helps reduce body fat accumulation. So drinking a cocktail of apple cider vinegar and water regularly can provide detox and slimming benefits to rid the body of extra fats and proteins. No wonder celebrities like Heidi Klum and Megan Fox love to drink apple cider vinegar to keep their body in shape! 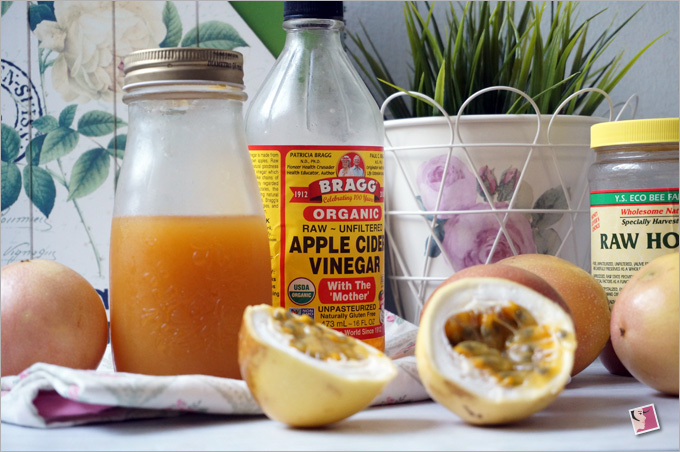 Pour one bottle of Bragg Apple Cider Vinegar into a jar or container with lid. Scoop out fruit and seeds from eight to ten passion fruits and mix them into the vinegar. Let the fruit and seeds macerate in the vinegar for five days. After five days, the vinegar is infused with the smell and taste of passion fruits. Once you’ve sieved out the fruit and seeds, pour the mixture into a bottle. Your passion fruit vinegar is now ready to be consumed–but not neat though. All apple cider vinegar must always be diluted before ingesting, unless you use it to drizzle your salad. Okay, I need to qualify at this point that the recipes I found online actually calls for boiling the mixture with honey. That was what I did. However, I later read that it’s best not to boil apple cider vinegar as hot water can kill the enzymes and nutrients. 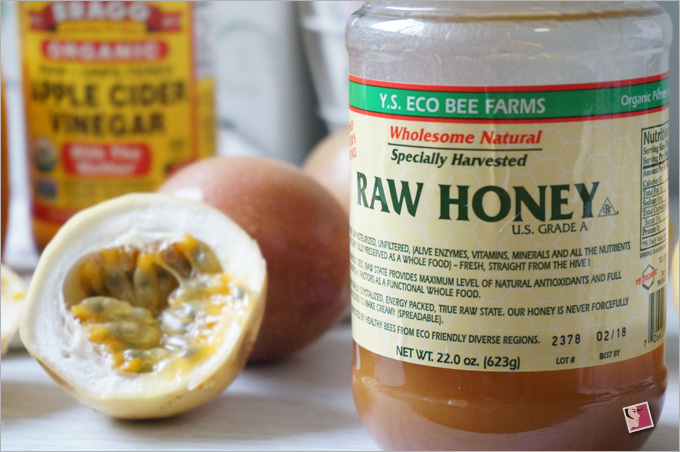 Because of this, I recommend that you only add raw honey to your warm glass of diluted fruit apple cider vinegar. Anyway, I kickstart each day with a glass of warm water mixed with two tablespoons of the vinegar with slightly less than a teaspoon of honey on an empty stomach. I like it better than drinking lemon water as I feel my gut is cleaner and my energy better. But I realized that drinking apple cider vinegar is extremely bad for my teeth because it is acidic and can seriously erode the enamel. To get round the problem, I have started to drink with a straw and to rinse my mouth with water after drinking. 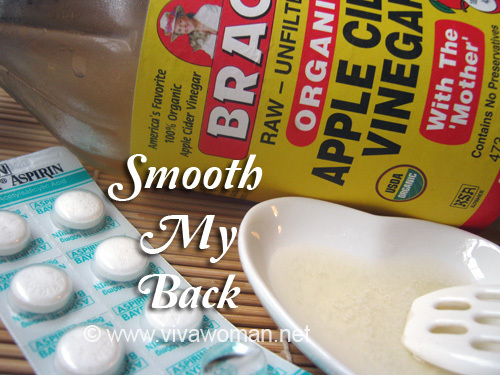 Pour one bottle of Bragg Apple Cider Vinegar into a jar or container with lid. Scoop out fruit and seeds from eight to ten passion fruits and mash them up a bit. Mix the mashed up fruits and seeds into the vinegar. Macerate the fruit and seeds in the vinegar for five days. Sieve out passion fruit and seeds. Store mixture in glass bottle. Purchase only raw, organic verson that is all natural and unprocessed. Try not to use boiling water with ACV. Never drink apple cider vinegar without diluting it. Apple cider vinegar can ruin tooth enamel because it is acidic. Drink ACV with a straw to prevent the vinegar from eroding your teeth. Immediately rinse your mouth well with water after drinking ACV. Don’t brush your teeth right away after drinking ACV. 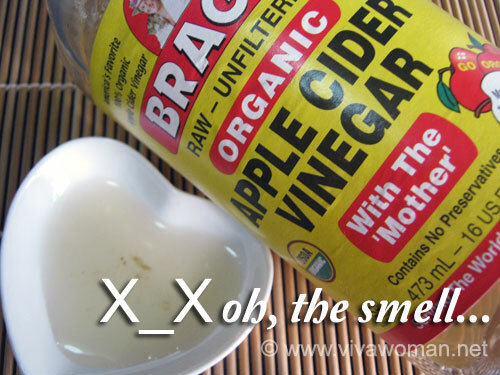 Do not use ACV as a mouthwash as some have been recommending. Also, if you have a medical condition, I would highly recommend you check with your doctor or some trained experts if apple cider vinegar is suitable for you. I’ve also been thinking what other fruits can possibly go well with apple cider vinegar but haven’t got a clue. Perhaps pomegranate as I’ve seen this fruit used in the Korean fruit vinegar too. Well if any of you have other ideas to make apple cider vinegar more palatable, do leave your recommendations in the comment box. Y is it don’t brush teeth right away? Cos the vinegar is acidic and weakens tooth enamel. Brushing too soon after consuming vinegar would further damage the weakened enamel. very interesting! The first time I know about Apple Cidar is when my brother-in-law drink it. Might want to try this one. Shall I freeze the mixture? After mixing the passion fruit into the raw vinegar. Put the mixture in the fridge.